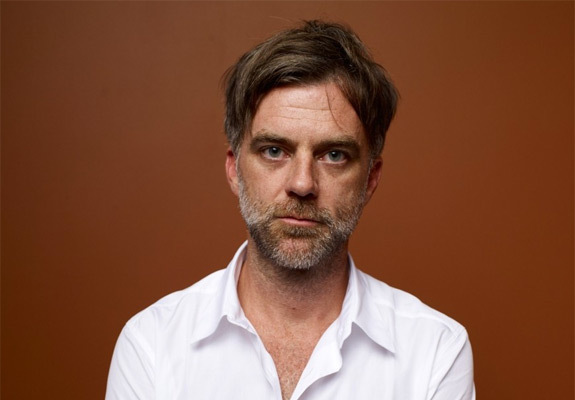 Perhaps the most useful way to describe “The Master,” Paul Thomas Anderson’s hotly anticipated film that opened Friday, is to say what it isn’t: It’s not a docudrama expose about the invention of Scientology, as many movie industry observers had assumed it would be. It’s not a sprawling study of a tribal subculture in the way that most of Anderson’s previous films — especially “Hard Eight,” “Boogie Nights” and “Magnolia” — have been. In fact, it’s not like any other movie currently in theaters. It’s a weird, often wonderful, occasionally confounding portrait of mid-20th century America that has garnered critical raves and festival awards but that just as likely will leave some viewers befuddled and bemused. Talking to Anderson, who sat down for a brief interview after “The Master” made its North American debut at the Toronto International Film Festival, one gets the sense that even he isn’t entirely sure what he’s done with it. Soft-spoken and sweet-natured, the 42-year-old writer-director, hailed by many as the finest filmmaker of his generation, often stumbles for words as he talks about making his movie, which stars frequent Anderson rep player Philip Seymour Hoffman and Joaquin Phoenix in galvanizing performances. The “it” Anderson speaks of is the peculiar interpersonal dynamic that drives “The Master,” between an alcoholic, sexually compulsive World War II veteran named Freddie (Phoenix) who comes under the sway of Lancaster Dodd (Hoffman), a charismatic leader of a nascent religious cult. Throughout the film, which takes place in 1950, the two men vie for control over each other, with Lancaster acting as a surrogate father figure to the rootless Freddie, and Freddie alternately embracing and lashing out against the older man’s attentions. One aspect of Scientology — as well as the Cause, its fictional analog in “The Master” — that Anderson was particularly taken with was the idea of past lives and time travel, which he considers a poignant trope for many of the bittersweet impulses that were animating Americans’ inner lives during the postwar years. “Investigating another time when you might have lived is just inherently so hopeful and so optimistic and so sweet to me,” he says. “You see it in all the things coming out of that time, whether it was music and the songs of that period — everything was about ‘seeing you again’ or ‘I’ll find you someday.’ . . . You’re talking about finding ways to go back in time and to pick up some lost piece — and that stuff is just food and drink to me. “There Will Be Blood” ended in the 1920s, when Dano’s character, an evangelical radio preacher, seemed to anticipate the same forces of religion, celebrity and hucksterism that “The Master” seems ideally suited to explore and elaborate. Anderson filmed scenes that explored the Cause’s collective interplay, but he says the idea lost traction in post-production. To hear Anderson tell it, much of “The Master” was filmed on instinct: One sequence, in which Freddie runs back and forth between two walls in a grueling mental-conditioning exercise, came about after Anderson wrote a few lines describing the scene “not knowing we’d be doing it three days later.” The film reflects the same searching, indeterminate quality of its subjects, a not-quite-fish-or-fowl enterprise in which just about every cinematic rule has been thrown out. This includes the use of the widescreen format Anderson has favored throughout his career to make an intimate, even claustrophobic drama.